And here it is, ladies and gentleman: the winner, by a mile: Hudson County, the most densely populated county in New Jersey! Congratulations, Hudson; you’re small but powerful, the smallest geographically in the state but the fastest-growing. You even have a new bridge in Bayonne. You’re booming, Hudson, so you’ll be needing lots of iCans! 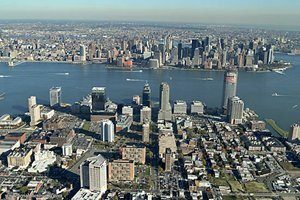 Jersey City and Hoboken have become hot spots for Millennials, with their gorgeous views of Manhattan and easy commute to the city. Moving? You’ll definitely want to keep it sustainable with iBins, (also known as crates, reusable moving boxes, bins, totes) our rent-able sturdy plastic moving boxes. One bedroom or four, iCan has the mix you need to move your stuff. PODS® can’t say that – and U-Haul® doesn’t even come close!